Author Visits... These talented folks have stopped in to OHB for talks, signings, and more! In 2014, OHB was honored to get a visit from Oren Teicher, CEO of American Booksellers Association. Thanks to former manager Don Muller for continuing to promote our favorite little bookstore, and thanks to Oren for dedicating a portion of his vacation to us as well! We learned a lot, and are pleased to hear that brick & mortar stores are still a valuable thing in 2014! 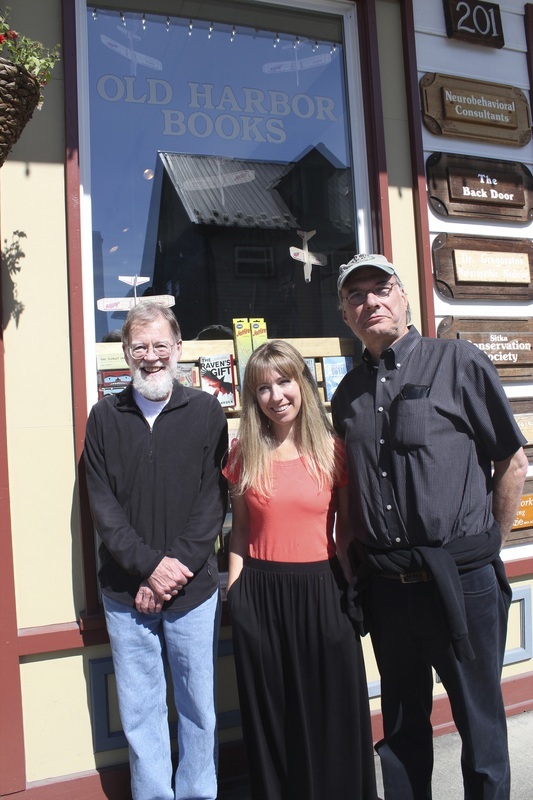 Former manager Don Muller, current manager Ashia Lane, and ABA CEO Oren Teicher enjoy a moment of sunshine in front of Old Harbor Books.